Please select your ideal English course option from the tables below, then contact us or register online to book your course. All prices are in British pound (GBP). You may be entitled to receive a special price so please contact us for this offer. Edwards Language School reserves the right to increase accommodation prices at any time. Package deals are available from £1150 for 2 weeks (this includes Standard English course, homestay full-board accommodation, return airport transfer, leisure programme and supervision by a teamer). Please email the school at info@edwards-language-school.co.uk for more information. 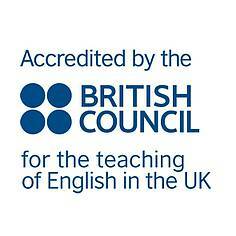 To see Course Dates for English Course for Young People please click here. Edwards Language School in London is closed on the following public holidays in 2019: 19th April, 22nd April, 6th May, 27th May, 26th August and from 23rd December 2019 to 5th January 2020. Payment from outside the UK may be made by credit card or by Sterling Transfer to our Bank. All the above rates apply to fees paid IN FULL IN ADVANCE. Fees are refundable only in exceptional circumstance. Evening activities will end by 9.30 pm to enable students to return to their homestay by curfew of 10 pm. All students will have an assigned teamer, who will liaise between them, their homestay and the school to ensure the students' safety at all times. Please note, the curfew applies to free evening as well as those with organised activities. Please ensure before booking with us that you have read through our Terms & Conditions.